Harold Hargrave was in his twenties when his eight-year-old son Jacob drowned in the river behind his house. Now in their 70s, Harold and his wife Lucille are stunned when they answer a knock at their door and find Jacob alive and well on their front porch – and exactly as he was in 1966. But the Hargrave’s aren’t the only ones welcoming deceased family members back into their homes – all over the world, people that have long been dead are mysteriously returning to their loved ones. No one is really quite sure what to make of it. Is it a sign of the Apocalypse? Are the “Returned” dangerous? Or is it just a miracle from God? Based on the premise, one might expect a typical zombie story, but there’s none of that to be found here. Instead, Mott creates an anti-zombie novel that delves into an examination of human behavior, the treatment of those who are different from us, and how people differ in the ways they deal with and overcome grief. Quite possibly the only downfall to the story is the failure to solve the mystery of the “Returned.” We never find out what caused them to come back or why, and without that conclusion, the book feels a little unresolved. That conclusion is not crucial to the story’s ending though, but some readers might feel a little cheated that such a big mystery was left unsolved. 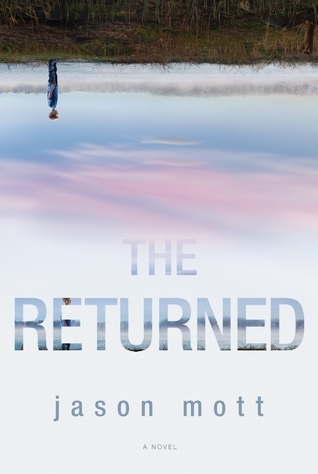 One of the best books of 2013, The Returned is a very solid debut from a new author with a bright future . Look for a small screen adaptation to premier next spring on ABC with it’s new name, Resurrection.